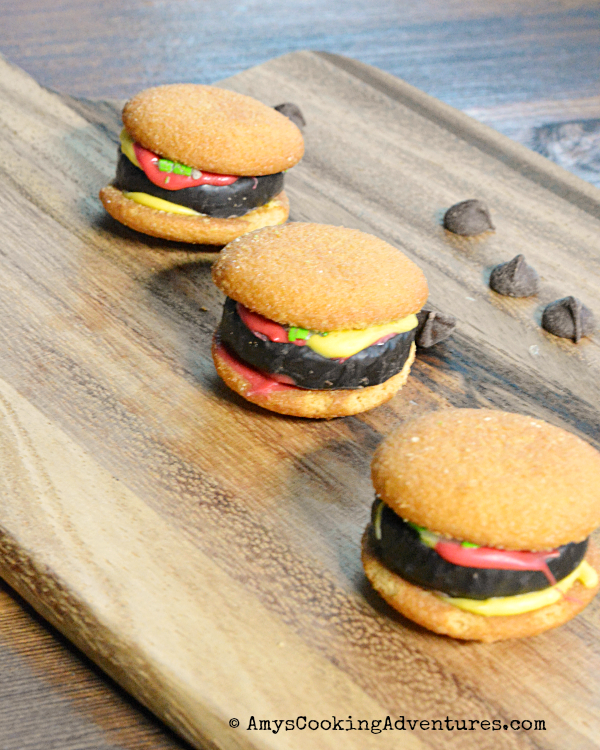 Get ready for April Fool's Day fun with Nilla Wafer Hamburgers! This is an April Fool’s treat I remember from my childhood! My boys got a kick out of this when I told them we were having cupcakes (meatloaf & potato) for dinner and hamburgers and chips (chocolate chips) for dessert! 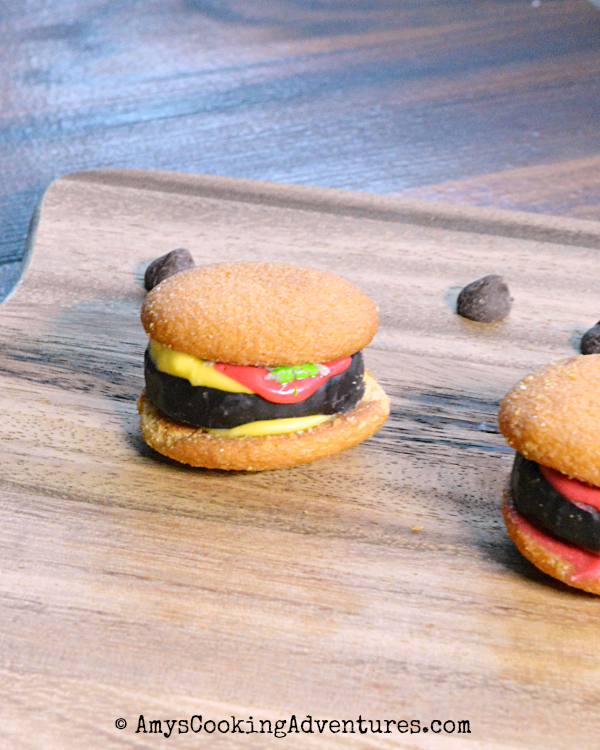 Have you ever made candy hamburgers? 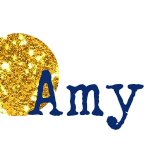 I just might have to make these for my 3rd graders this year! Melt the candy melts in separate bowls. Spread melted candy melts on the bottom of one Nilla Wafer. Top with a peppermint patty. Top with additional red 7 yellow melted candy and a few bits of smashed skittle. Top with another Nilla Wafer. Allow the candy to harden. If desired, wet the tops of the Nilla Wafers and sprinkle with sesame seeds.